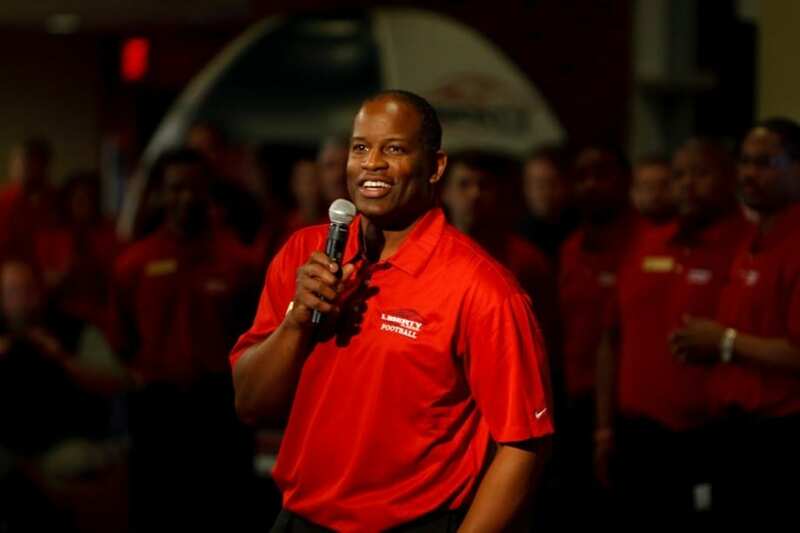 This edition of Sports Spectrum Conversations features the head football coach at Liberty University, Turner Gill. 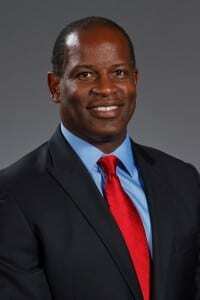 Coach Gill is in his first season coaching the Flames and previously coached at Kansas and Buffalo. Coach talked to us about his playing career at Nebraska and in the CFL, his minor league baseball career, the differences between coaching at public and Christian universities, and how God prepared him to be a head coach and leader. Coach Gill also shares his memories of his mother, who passed away just a few weeks ago, and how she always encouraged him in his faith. The Q&A is a “best of’ the interview, so to hear more from Coach Gill, including on if he thinks there can ever be another two-sport star, listen to the full audio podcast below. 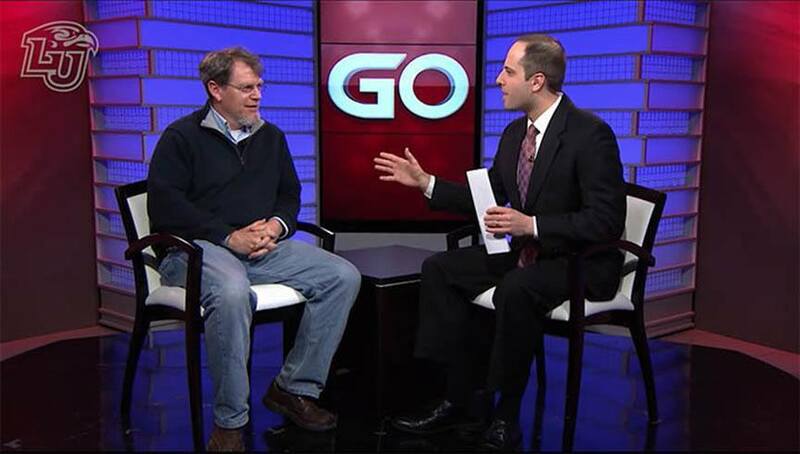 SPORTS SPECTRUM: You had a great playing career playing QB at Nebraska, what was it like to playing for those fans? Coach Gill: Well it’s outstanding, they’re tremendous fans. They love their football team, they love athletics, not just the football team. They love their athletics programs around there, but the activities there are really football. There’s no pro sports teams that they support, and the financial things all go to that one university. I shouldn’t say only one, there are other universities of course that are supported, but it’ great to be part of that. SPORTS SPECTRUM: After college, you chose to play in the CFL over the NFL, what went into that decision? Coach Gill: Well part of that was, unfortunately at that particular time, I was too short, so the NFL was saying I would be a receiver or defensive back and I wanted to have the opportunity to play quarterback. So therefore, I really thought at that time, a guy by the name of Warren Moon had played in the CFL, and the year I was leaving, he went to the NFL. So I wanted to model that. As to say, “I’m gonna go play in the CFL to show people in the NFL I can throw the football and have the ability to do those things.” And hopefully later on, have the opportunity to come back and play. That was really one of the main reasons. I really wanted to play quarterback. 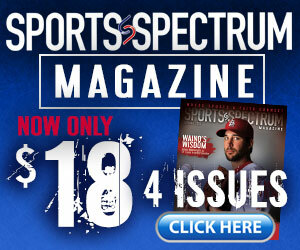 SPORTS SPECTRUM: You were a two-sport star, and after concussions knocked you out of the CFL, you played baseball in the Cleveland Indians organization, what was your experience like in the minor leagues? Coach Gill: Well, it was different. You have a lot of idle time. I guess when I say that, there’s a lot more idle time during the day, you’re traveling day and night and morning, and you’re staying in a lot of hotels and motels. So it’s a different lifestyle as far as that goes. I love baseball, baseball was my first love out of high school, I got drafted in the second round by the White Sox. The late Bill Veck, the owner of the White Sox, came and chatted with me and we were about $20,000 short. If they gave me 20,000 more, my career as an athlete, would have been different than it ended up being. But I love both sports. And unfortunately, the doctors were not going to release me to play football because of my concussions, but they released me to play baseball and I got the opportunity to contact some organizations to see if they were interested. It was the Mets, Padres and Indians that were the three that we ended up negotiating with and talking with. I felt the Cleveland Indians would be the best opportunity for me to move up the fastest. I thought that was the best fit for me at that particular time. SPORTS SPECTRUM: After baseball, You’ve taken quite the journey in coaching, on the coaching staff at Nebraska, North Texas, SMU, back to Nebraska, spent a season with the Packers, before getting hired at Buffalo as a head coach in 2006. How did all of these experiences prepare you to be a head coach? Coach Gill: Well as we know, God, everything He does, for each and everyone of our lives, is preparing us for the next step, which we don’t know what that next step, or what God has for us. As I look back at my life now, I really see that. That you may go through things that are good, and things that have a little adversity. And now that question is how are you gonna respond to all those things that prepares you for the next step. So, it all helped educate me. And God puts people in our lives to help you grow. And we ignore those things some times. It’s right in front of us and it’s stated, but we ignore it. Intuition, God gives us, in our hearts and our minds and our soul, but we just don’t realize it. In ’85 I accepted Christ. One of my friends that I knew in Nebraska and also when I played in Montreal, that kinda helped put things in a lot better perspective, he helped me accept Christ as my personal Lord and Savior. And that helped me through the opportunities that I had. To look at it with joy, peace and comfort, knowing that I had a purpose in life. I had to understand my purpose and how I was wired. I was wired to teach the game of football and teach people about Jesus Christ and then to keep doing it in the right way. (To) change this profession, and change college football in a way that would be gratifying to God to help marriages and to help men to help them understand what their purpose is in life. Because those two areas in our society, and really three, spiritually, and being a father or husband and doing those things, those are so crucial according to God. And those things are kinda getting warped, another word is off-balance. If you don’t have the spiritual part of your life in the coaching profession, in any profession, it’s tough to handle that. 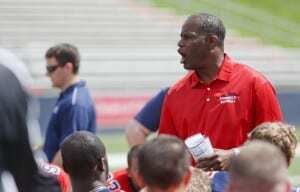 So for me, being a head football coach, God was teaching me that when I became a head football coach, “Make sure that your doing things to help marriages, don’t do things that are going to decrease the relationship with man and woman because of the time commitments.” And that’s any job, but definitely in the coaching profession. It is time consuming, and it is something that you have to be on top of in making time to spend with your spouse, your wife. And also trying to teach these young men what their purpose is. In our society, according to God, what is each man’s purpose? Not just to go play football but it’s to prepare these young men to be, number one, men that love God, and men that know how to be the leader in the home and know how to treat women. So all of those things are what God has put on my heart and that’s my purpose as a coach, but really more as a man. That’s just what I do, I coach. But I’m a man of God trying to follow Christ and His teaching. And this job that he’s given me as being a coach is to help marriages, and to help young men know their purpose. 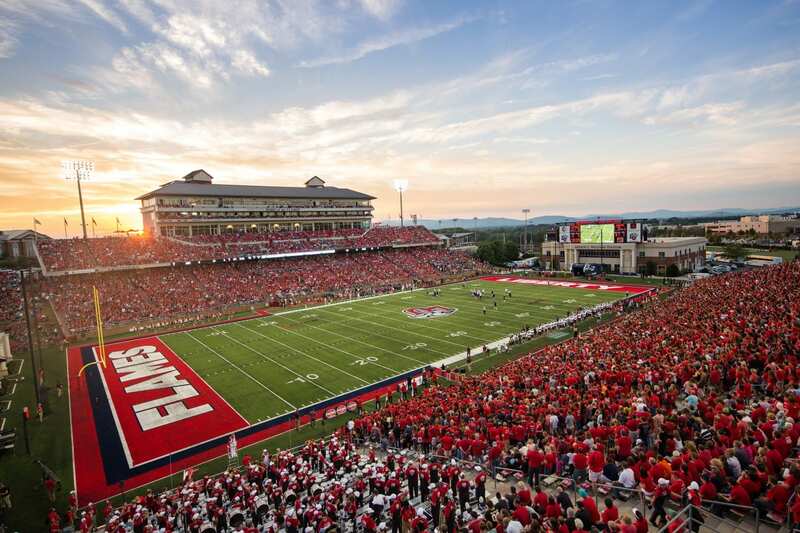 SPORTS SPECTRUM: What’s it like being the coach at such an overtly Christian university where Christ is at the forefront? Coach Gill: You don’t have to be in a politically correct, the church and state, and all of those things of that nature. I understood the church and state, I knew I had to do some things in a certain way but there were times when God told me to state what I needed to state and to state scriptures or to preach the Gospel or to share how to get to know Jesus Christ as personal Lord and Savior. So people knew about it, I didn’t hide it when I interviewed with people and in some cases, maybe I didn’t get those jobs because of that and that’s fine. But I had to speak up because God said if you’re ashamed of Him, he will be ashamed of you when you have to come right to (Him) on (our) knees at some point and time in our lives until death. 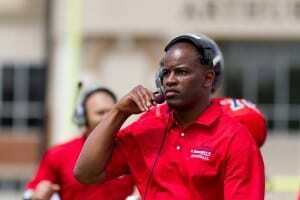 Coach Gill: Yes, September 2nd. She was truly an authentic, genuine follower of Christ. Whenever you talk to people who know my mom, it was always from a spiritual side. She was always quoting scriptures. She was always referring to, “Is that honoring God?” That was one of her famous lines. My mom was always a servant. She always did things for others. She never really did things for herself, and I’m talking about just the simplest things of just buying herself new clothes. She just stayed basic, she said, “I’m here to serve my kids. I’m here to serve my husband. And I’m here to serve God. That’s my purpose here on earth.” And so she lived it. And I saw it every day. I always remember those things, when I went away for college, she was always sending scriptures. As people (in college), we always say, “Mom, Dad, send us money.” The famous line that we all say as 18-22 year-old kids, but my mom always sent a scripture. Sometimes I read it, sometimes I didn’t. But I always remembered that that was what she always stood for, is that, God, Jesus Christ, was always first. And that’s what I’m always going to take with me. I miss her. As far as being able to write me some notes, but I still have some of those things, I still have a couple of those available that remind me of those things. But I’m excited because I know I’m going to see her again. This is just the beginning of life as far as I’m concerned and I can’t wait to see her again. It’s probably just like a lot of people, the David and Goliath (story). 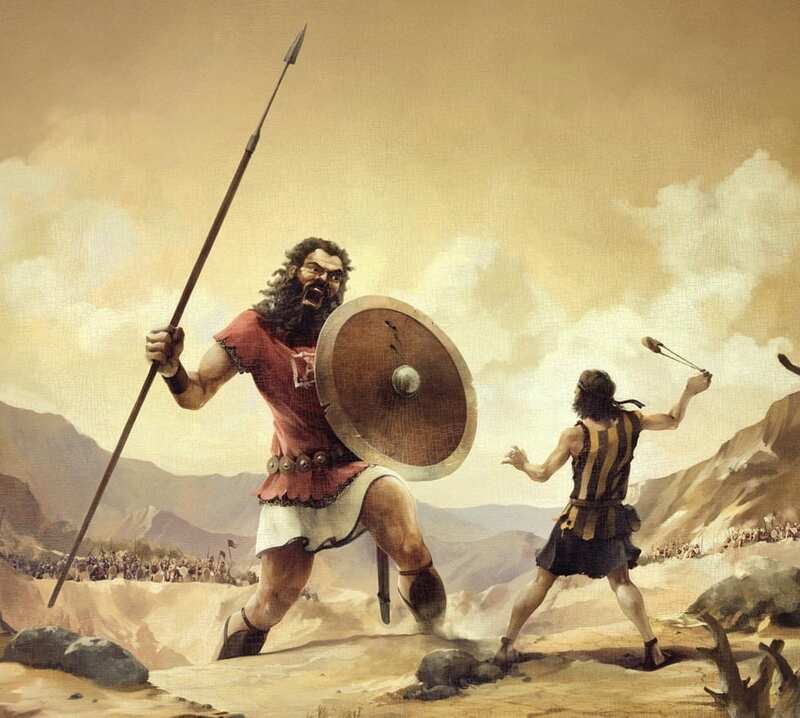 It’s such a great reference in football in some cases where maybe you’re an underdog, so you always kind of refer to that and how God’s going to give you the strength, and the belief and the faith that you have to have as you go into a situation like David went into with Goliath. So that story is probably one of my favorites because I use it quite a bit with football, being a coach. You played QB, do you have a favorite QB to watch in the NFL now? I’d probably just be Payton Manning. A guy by the name of Roberto Clemente. He played with a fervent love for the game, passion for the game. I was only 8 or 9 but I can remember number 21 with the Pittsburgh Pirates. A hobby is really spending time with my family. I spend time with my two daughters and family and doing things with them and enjoying that time because it’s valuable, so valuable. But if I really did something from an individual side, it’s probably just playing golf. For more from Coach Gill, listen to the audio podcast below.